Hailed by The New York Times as “the defining musical of the decade”, no theatre lover should miss the chance to see it onstage! 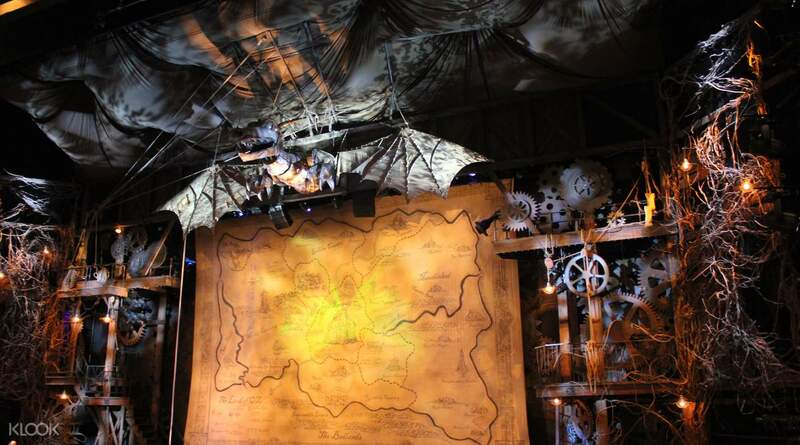 “Wicked” is acclaimed as one of the best and most successful Broadway shows of all time, having garnered multiple Tony awards and performed by some of the world's best stage actors for years. 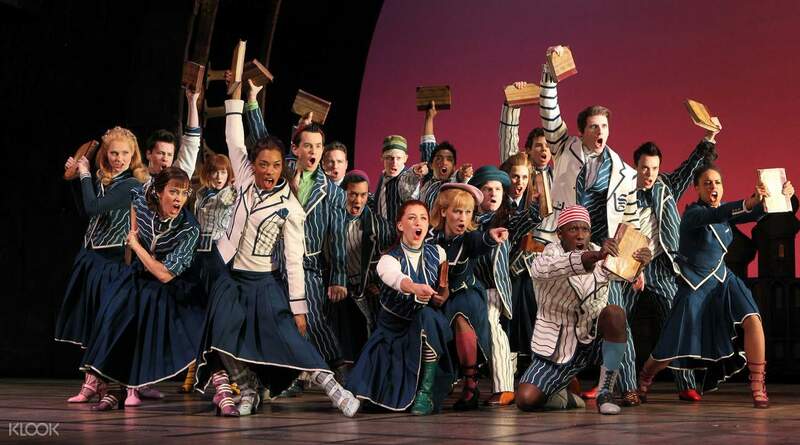 The show's groundbreaking songs and arrangements have been staples in theatre fans’ collections around the world. Choose from an orchestra seat and a seat in the front mezzanine area, both of which offer fantastic views. Witness this spectacular musical performance live onstage, a dream of many a theater fan around the world. 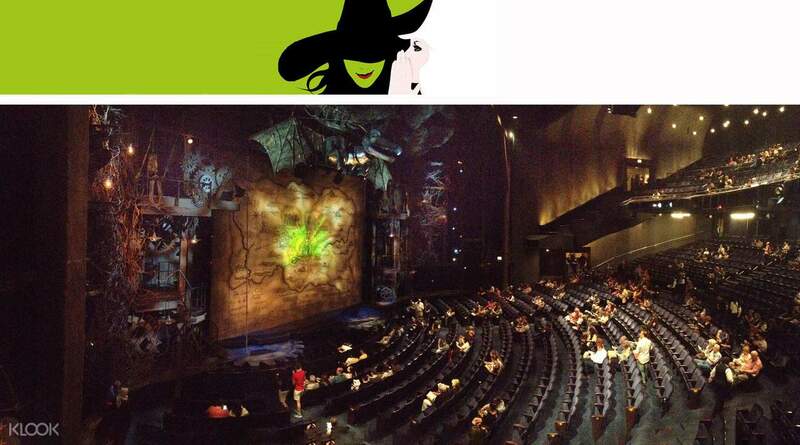 In New York City’s historic Gershwin Theatre, you’ll watch the story of Elphaba unfold onstage. 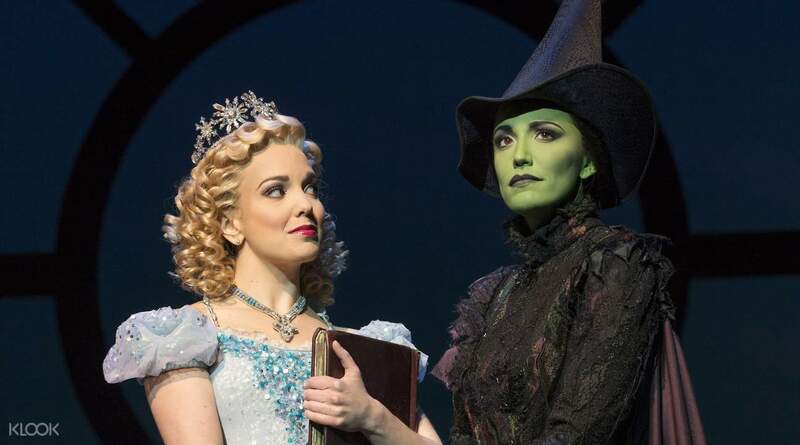 From her study days in Shiz as a brilliant but fiery and misunderstood student of immense magical gifts, her friendship with pretty, popular Galinda, and her spellbinding moments of love with Fiyero, you’ll witness the incredible origin story of a woman who would be christened as the “Wicked” Witch of the West, long before Dorothy even set foot in the land of Oz. Head to New York City's Gershwin Theatre and see this incredible musical live onstage! Thank you Klook Team for assisting us in rebooking our ticket on another date! Thank you Klook Team for assisting us in rebooking our ticket on another date! Loved it! The Atmosphere, voices, dancing and setting was just amazing. Definitely worth a visit. All went pretty easy with Klook, just went to the ticket booth and picked up my tickets. I am absolutely satisfied as a costumer. Well done guys. Loved it! The Atmosphere, voices, dancing and setting was just amazing. Definitely worth a visit. All went pretty easy with Klook, just went to the ticket booth and picked up my tickets. I am absolutely satisfied as a costumer. Well done guys. Wicked is amazinggggg!!!!! No issue with the purchase. Seats were good too, despite it being an orchestra area ticket with a risk of being blocked. I suppose the complaints on not being able to get a good seat was due to the late booking. And it is cheaper too. Good job Klook! Wicked is amazinggggg!!!!! No issue with the purchase. Seats were good too, despite it being an orchestra area ticket with a risk of being blocked. I suppose the complaints on not being able to get a good seat was due to the late booking. And it is cheaper too. Good job Klook! front side seat assigned, not too bad. although part of the screen projection was blocked by the backdrops/ props at the side, the seat is close to the amplifiers so the sound was superb. But overall, the show was phenomenal and full of emotional changes. absolutely worth-seeing then. front side seat assigned, not too bad. although part of the screen projection was blocked by the backdrops/ props at the side, the seat is close to the amplifiers so the sound was superb. But overall, the show was phenomenal and full of emotional changes. absolutely worth-seeing then. The show was great. The experience to reserve and get the ticket also very good. No hassle at all! Anyway, it will be better if we can have options to choose our own seat based on the class and availability of the seats for the selected show. The show was great. The experience to reserve and get the ticket also very good. No hassle at all! Anyway, it will be better if we can have options to choose our own seat based on the class and availability of the seats for the selected show. Easy to use and very convenient! We claimed our tickets so fast, no queues! YES! Easy to use and very convenient! We claimed our tickets so fast, no queues! YES! The seat is perfect and quick to get the ticket! Must come and enjoy Broadway show! The seat is perfect and quick to get the ticket! Must come and enjoy Broadway show! entertaining and touching. recommend. entertaining and touching. recommend.